Heart shaped jewelry has been a popular choice of gift for centuries. 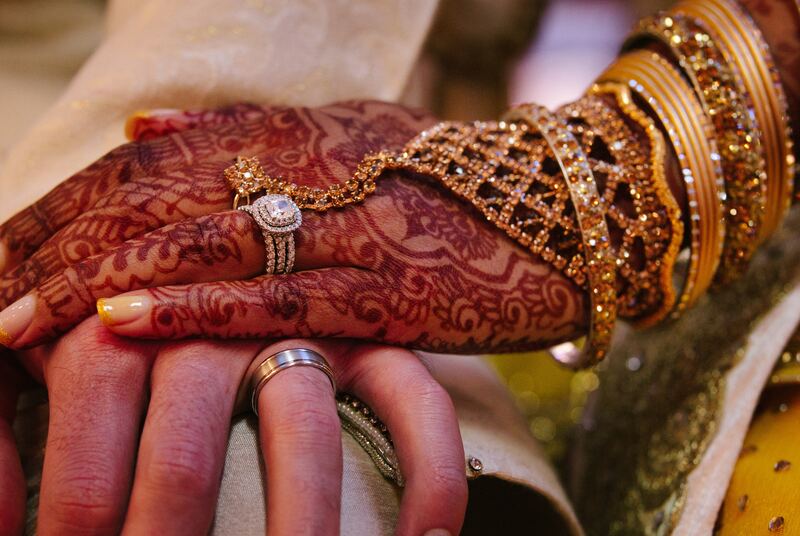 The heart shape first became popular in jewellery design in the 15th and 16th century and since then has been given as a special gift to represent romance, affection, enduring love, devotion and friendship. Why do we love hearts? 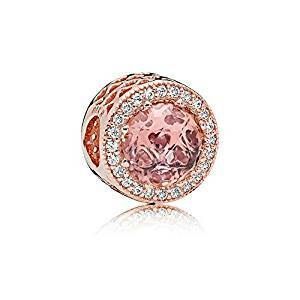 In recent years, pink heart themed jewelry has been reinvented by popular brands like PANDORA and GUESS who have created elegant and sophisticated pieces. This jewelry, which has been created by reputable brands, has also led to an increase in price tag and has given them a desirable kudos. 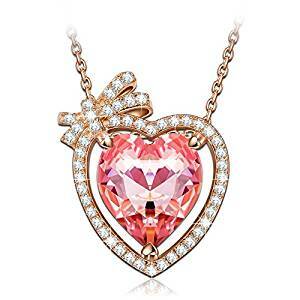 The rise in popularity for pink heart themed jewelry has also led to a larger selection of jewelry to choose from. Creating more designs, colors, gemstones, textures; the variety is endless! Gone are the days when you had to choose between a pair of pink heart plastic earrings and a pink heart plastic bracelet. You can now choose between a necklace, pendant, bangle, charm, earrings or rings. Typically a heart shaped piece of jewelry would be given to the love in your life to show them how much you love and care for them. Nowadays, rather than just Valentine’s Day, we often also give pink heart shaped jewellery as a mother’s day, birthday, Christmas or anniversary present. Or you could simply treat yourself to a piece of heart shaped jewellery! What does the colour pink represent? The color pink has many meanings. It represents love, compassion, nurturing, understanding and unconditional love. The deeper the pink colour, the more energy it exhibits as well as passion. We signify the color pink as being romantic, feminine, caring, intimate, thoughtful and affectionate. It is also known for toning down the colour red which represents physical passion and replace this colour with pink to create a gentle loving energy. On a psychological level the color pink represents the feeling of hope. It is classed as a positive colour with warm and comfortable feelings. Studies have proved that large amounts of pink can calm your nerves. The color can also put people in touch with their nurturing side and it can also signify good health. Overall there are lots of positive connotations to be aware of when wearing pink which is another reason why we love the color so much! If you love heart shaped jewelry you’ll just love this sparkling necklace. This pink heart shaped gemstone has been created using a pink sapphire. Not only are sapphires beautiful but they’re extremely durable! The heart shaped gemstone is set in place securely by three prongs ensuring that this beauty stays securely in place. 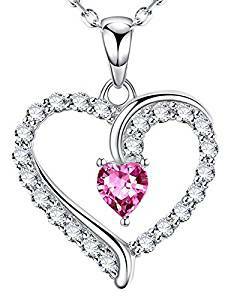 Connecting the pink gemstone to the chain, we have a smooth minimalistic sterling silver design which holds a single colourless round cubic-zirconia gemstone in place, effortlessly complementing the pink heart sapphire below it. The sterling silver attachment is then hooped onto a dainty sterling silver chain which continues the minimalistic look of this necklace. The size of this pendant with sterling silver attachment measures 8mm x 18mm with an 18 inch chain that has a spring ring clasp. There are a couple of things that make this necklace special. Firstly, the bright pink heart shaped gemstone which is the centrepiece for this necklace is beautiful. Secondly, the heart shaped stone which sits on the elegant flowing silver design represents the timelessness and eternity of your love in a simple and direct way. If you’re giving this item as a gift, there’s no need to wrap this stunning necklace because the supplier will do all the work for you! The necklace with be delivered in a beautiful jewellry box which will come in a ‘Star K’ signature box with a lovely bow wrapped around it. This box will then be placed in a satin pouch bag before being delivered straight to your door. We think this a great way to make a first impression! This stunning piece has been created by a family run business called Star K design who are located in New York and have been making fine jewellery since 1986. 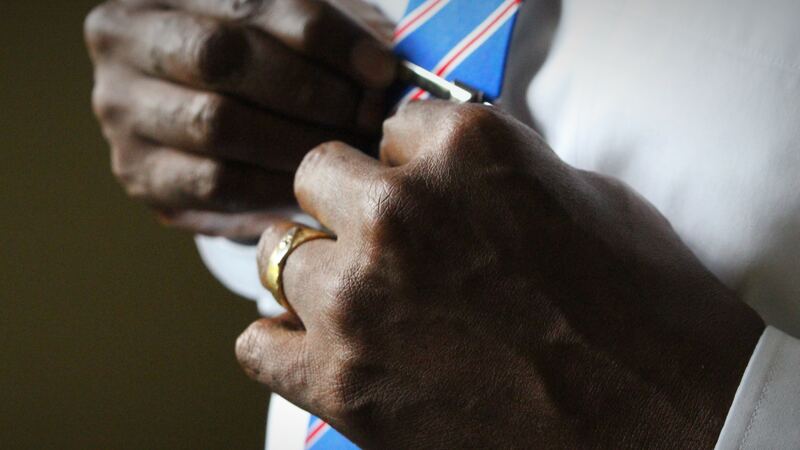 They value themselves in creating quality jewellery from quality products. All pieces are created using the highest quality craftsmanship and all stones are hand set by their expert team of jewellers. The jewelry is known for creating classic and traditional jewelry which is suitable for wearing everyday. They also believe that through colour, jewelry should convey passion and express feeling. That’s why they design and create their jewellery with this in mind. You’ll notice that their designs come as part of an extensive collection consisting of a large variety of coloured stones which allows you to pick the colour you love and best represents how you feel. 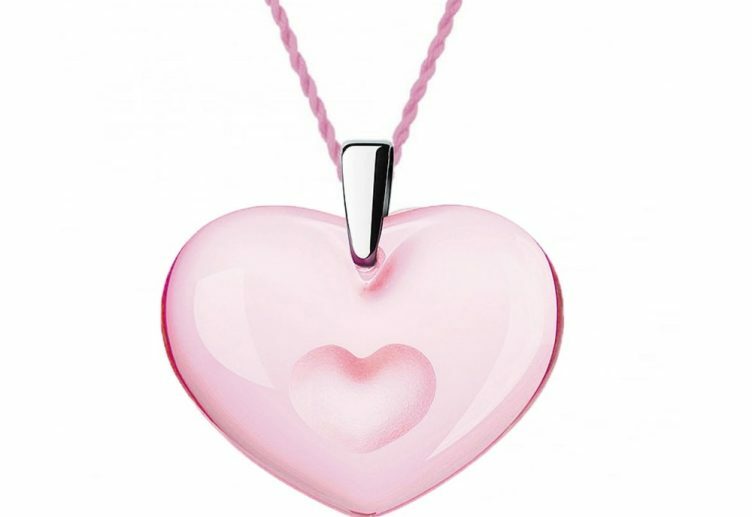 Though on this occasion we’re sticking with the pink shaped heart colour because we think its utterly gorgeous! 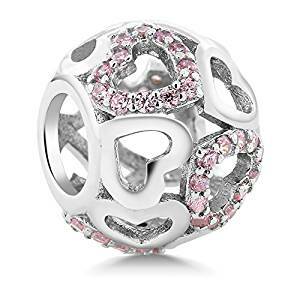 A top ten list of pink heart shaped jewelry wouldn’t be complete without including a PANDORA charm. If you haven’t got a PANDORA charm bracelet already, where have you been? This rose gold plated PANDORA charm would make a lovely addition to any bracelet. The circular rose gold charm has a blush pink cubic zirconia gem in the centre that includes a pattern of cut-out hearts which we love! Framing the gemstone we have a simple layer of colourless diamonds around the edge which complement the inner heart shaped gemstone beautifully. The mixture of materials, textures and colours really work well in complementing one another. From the solid rose gold charm base to the blush pink gem with cut-out heart pattern and colourless diamond gems; even though they’re all very different they work very well complementing one another. This is definitely a colorful piece, with lots of texture and sparkle – its utterly beautiful! As expected this pretty pink charm will arrive in a simplistic but iconic small white gift box. Inside the jewelry box, your charm will be hooped through a black piece of ribbon making sure it is kept securely in place before it goes onto your lovely charm. The white box is then placed in a white PANDORA bag with a pretty pink ribbon and ‘PANDORA’ branding on the front of the bag. PANDORA charms are known for telling the story of your life. Whether you’re given a charm to celebrate a special milestone or occasion, a particular interest or simply as a good luck charm, PANDORA charms are the perfect way to tell your story through your jewelry. If you don’t wear charmed bracelets, PANDORA also sell necklaces, rings and bangles so you have plenty of stunning jewellery to choose from! PANDORA pride themselves in offering high quality, modern and hand-finished pieces. Their jewelry is a great way of allowing you to express your style and fashion through their pieces. 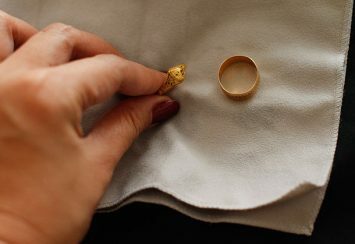 The jeweller is also committed to minimizing the environmental impact it has on the planet by manufacturing and developing responsibly, which we love to hear! 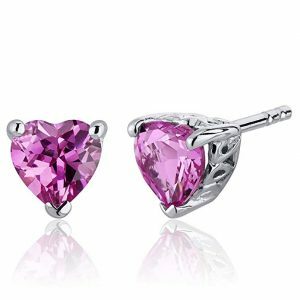 If you want some stunning heart shaped earrings that are gorgeously pink, these studs will be perfect. 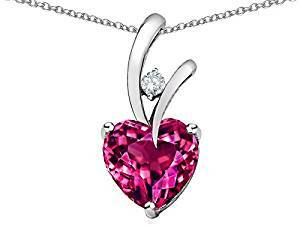 The heart cut gemstones are crafted from pink sapphire, making them extremely durable. The heart sapphire has a bright pink hue with a dazzling sparkle that is truly mesmerizing and will light up any room. The gemstone is approximately 6mm wide by 6mm high, making it a great size and is held in place by three prongs on a sterling silver backing with ear attachment. The pink heart shaped sapphire is approximately 2 carats in weight and has a lovely rhodium flashed silver finish which gives it a strong and shiny finish. Our favourite thing about these earrings is that they sparkle! They are simply beautiful! The designer, PEORA, has achieved a fantastic design for this pair of stud earrings. From the sapphire cut and quality of sapphire, to the gem setting and sterling silver finish; they couldn’t have done much more to make these a gorgeous accessory for any lucky lady! The attention to detail in these earrings really shows off the top craftsmanship that has been put into making these studs. Weighing 2 carats, the studs are a great size, making them a perfect option to wear and keep securely on your earlobe. Looking at their extensive collection, PEORA are known for creating remarkable pieces made from beautiful gemstones in a variety of different colors. Blue, green, purple and pink – enjoy taking your pick! It’s not just earrings they make. You can choose from their rings, necklaces and bracelets as well. They also create jewellery in sterling silver and yellow gold, ensuring there’s something for everyone! When it comes to the price tag, these are sold at a low price, making them extremely affordable. 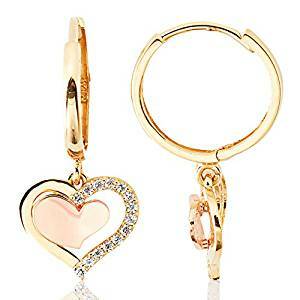 If you’ve got a large budget to spend on your pink heart shaped jewelry, these dangling earrings would make a great choice because they’re extremely elegant! A small pink heart made from gold metal simply hangs within a larger hollow gold heart. This simple and modern design works really well to create a beautiful piece of jewelry which is definitely on trend. The larger of the two hearts also includes a row of single shimmery square diamonds that colours half of the heart frame, making it glow with sparkles. This larger heart is then attached to a single hoop which includes an attachment for your ear. 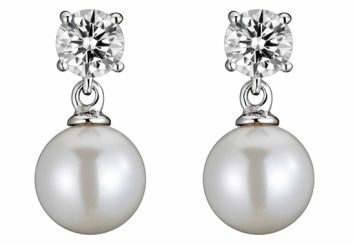 These earrings are definitely suited to someone who prefers dainty jewelry. If you like rose and yellow gold, you’ll love these dainty earrings. The 100% 14k rose and yellow gold contains a lovely smooth polished and stylish finish. The larger of the two hearts also includes a colourless cubic zirconia band of gems on one side of the heart that you won’t be able to take your eyes off. 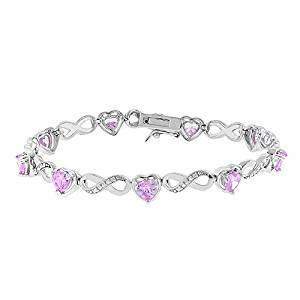 The pink heart shaped design is very elegant and classy making this a lovely piece of jewellery. Whether it’s your anniversary, birthday or Valentine’s Day, this would make a fantastic gift to surprise the lady in your life! The designer, Jewel Collection, is based in Los Angeles and creates luxury jewelry with brilliant style and at an affordable price. They pride themselves in making quality pieces of jewelry. Looking at their extensive collection they not only craft earrings but a range of pendants and rings. They specialise in creating pieces out of rose and yellow gold and love to attach a touch of colourless sparkle to their pieces. They also love to use different coloured gemstones like pink, blue, green and yellow that will brighten up the pieces and give them that unique quality. Some of the pieces are designed with hearts, flowers, fruits and animals. Have a look at their lovely collection! If you love your glitz and glamour and the colour pink is an essential part of your wardrobe, this necklace could be a great addition to your jewelry box! This pink heart shaped necklace consists of a striking pink heart gemstone attached to an outer hollow rose gold shaped heart. The rose gold frame contains shimmering diamonds, bringing the piece of jewelry to the centre of your attention. This heart shaped pendant is then attached to a dainty rose gold chain, finishing the look well. One thing to point out is that the designer has described this pink crystal gem as being ‘rose peach’ rather than pink in colour. This is then held in place by a prong setting with three tiny rose gold hearts. The necklace includes a beautiful cluster of small crystals which have a lovely light-catching effect. Designed to a heart shape, giving this necklace to the love of your life will certainly stand as a symbol of how much you love them! This stunning piece has been gorgeously designed by NINASUN, a designer jewellery brand that creates pieces of jewelry inspired by fond childhood memories and nature. Each individual piece has been created using sterling silver and has been decorated with cubic zirconia and crystals from Swarovski. The designer believes that the jewellery they create should be a symbol of love, celebration and luck. 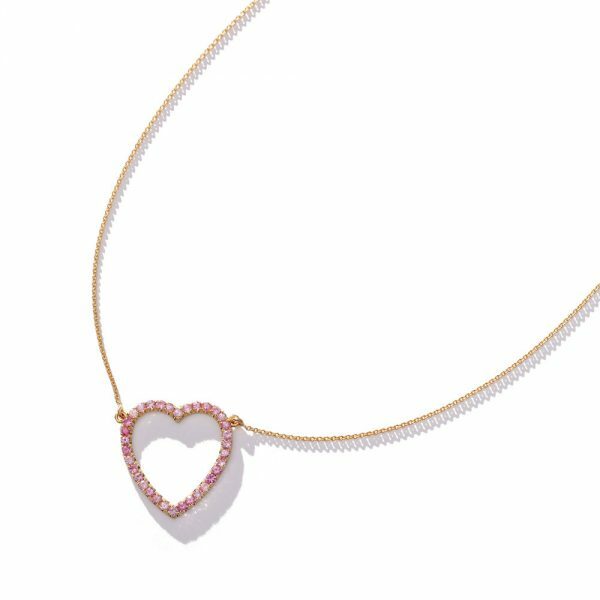 You’ll be pleased to hear that this pink heart shaped necklace also comes in a classic jewelry box, ready to give to the special someone in your life, whether it be your mum, sister, girlfriend or wife. To ensure your lovely necklace stays just as beautiful as the first day you bought it, the jeweller has included some useful care tips for you follow. These include not wearing your necklace in the bath, storing it in a sealed box away from your other jewellery; and cleaning it with jewellery cleaner or a silver polishing cloth. We love it when a jeweller cares about their products even after they’ve the purchase! If you’re looking for a pretty little bracelet to wear for a special occasion then this bracelet from designer Cate & Chloe is pure perfection! This delicate bracelet design consists of small pretty pink heart gemstones and crisscross knots decorated with colourless diamonds. This pattern continues around the entire bracelet, making this a stunning piece of jewelry. 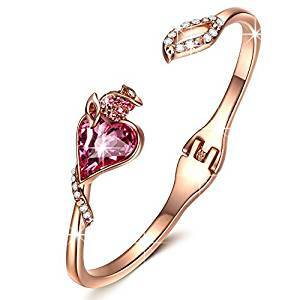 The bracelet is 18k gold plated with pink heart shaped gemstones and colourless cubic zirconia gemstones. The bracelet contains a secure box with tongue clasp closure which will help to ensure your bracelet doesn’t fall off your wrist. The bracelet is definitely a simple and elegant design with a timeless style to it. This bracelet has been designed by Cat & Chloe, a jewellery designer that specialises in creating earrings, rings and pendants. What all of their pieces have in common is the inclusion of colourless crystals! 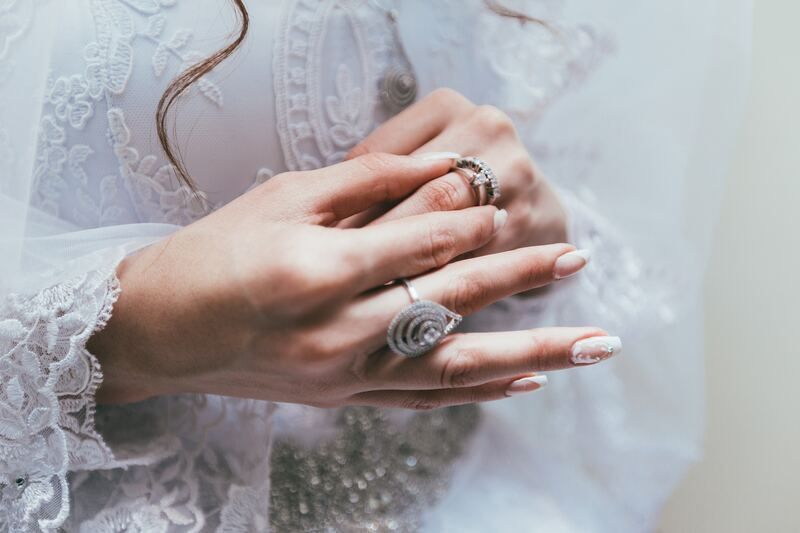 Designed with simple and elegant settings, we’d definitely suggest taking a look at their extensive collection of gorgeous jewelry, fit for a queen! Looking at their variety of designs, this jeweller also has a particular love for white gold and sterling silver. We love the look of these pieces so you’re bound to feel the same! Check out their latest must have buys available online. This beautiful bangle bracelet features a pink heart shaped gem and has ‘girly’ written all over it! This lovely solid rose gold bangle includes a sparkling pink crystal gemstone in the centre of the piece that is shaped as a heart. More glamour is then featured on this bracelet through the inclusion of a cluster of the colourless individual crystals that decorate the bangle on the closing clasp at either end. This extra detail delivers heaps of sparkle in the best way possible. When worn this bangle definitely gives off a sense of romance and beauty and would be suited to a lady who loves her flowers, pinks and nature. This particular piece of jewellery belongs to the “qianse rose lover” set where there is also a pair of earrings and necklaces available. This gorgeous bracelet has been designed by Qianse who are renowned for creating playful and classic pieces of jewelry. They are a French registered jewelry brand that believes every piece of jewellery tells the story of a lady and represents a lovely dream. They offer an extensive collection of jewelry consisting of necklaces, earrings and bracelets. They also experiment with using rose gold, silver and yellow gold. Browsing their range you’d describe it as girly, colourful and creative! You can tell they also love using colourful gems to create color, depth and a touch of sparkle to their pieces. 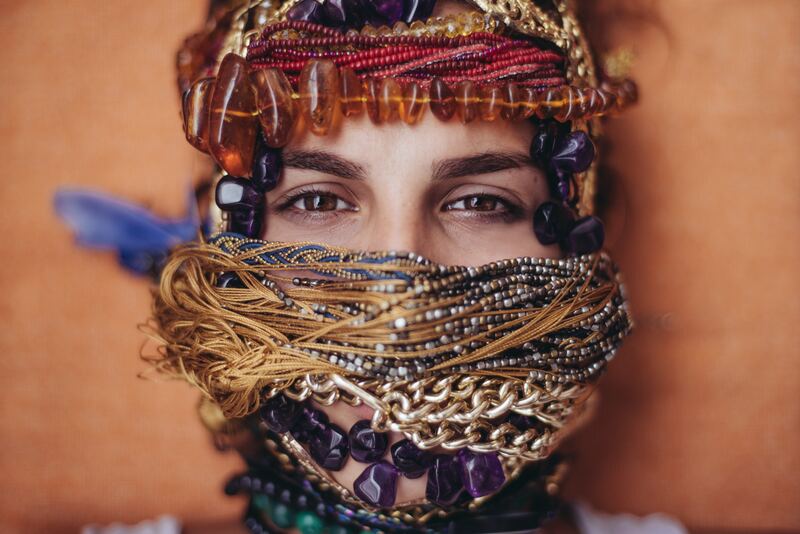 You can tell that every piece of jewelry is truly unique which is what we like to hear! 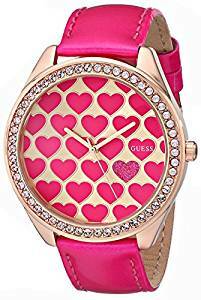 The most useful piece of jewelry is a watch and here we’ve chosen this designer pink heart watch from Guess. This lovely accessory is one of a kind! This watch face consists of a dark pink heart patterned design with three watch hands in a cream colour. The watch is also decorated with a frame of colourless gems that create a lovely sparkle. These gemstones are positioned on a rose gold foundation and then to finish the watch it has a dark pink leather strap which is the same colour as the pink heart. Let’s also not forget the iconic ‘GUESS’ logo on the watch face giving it that designer status. The hot pink leather strap, rose gold tone watch face and crystal details really give this watch that feminine edge! The watch face is approximately 44 mm in diameter and the face is made from mineral crystal, making it extremely durable and will protect it from having any scratches. If you haven’t heard of the brand, GUESS, where have you been? GUESS watches first launched in 1983 with a collection of women’s and men’s fashion watches. Since then they have continued to create cutting-edge designs and new ideas, ensuring that the brand remains relevant and ahead of the latest trends. 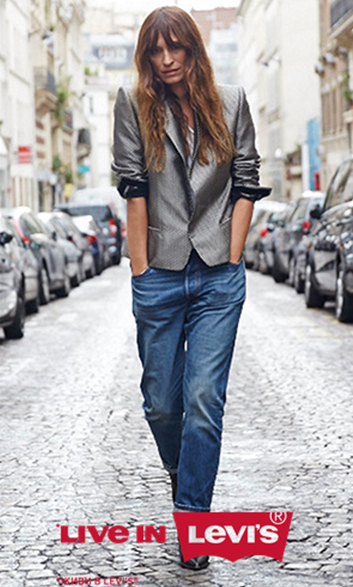 GUESS Watches have a particular focus on lifestyle-driven fashion, which we love to hear! This watch is priced for a medium budget and we think its a great price tag for what you’re getting, especially for a GUESS watch. Simplicity with a touch of sparkle would best describe this bracelet charm. This pretty charm has been designed in a circular sphere shape made up of hollow pink and sterling silver hearts. We love how some of the hearts have been coloured pink by using soft pink gemstones, causing this charm to shimmer effortlessly by morning, noon and night. We like how the mix of plain sterling silver and pink shaped hearts complement one another and work to create a stunning charm that looks a lot more expensive than its low price! You are guaranteed that this charm has been created using the highest quality lead free sterling silver. Not only does this mean the charm is an exceptional piece of jewelry but being lead free it will protect your skin from any sensitivity. Even though this charm isn’t a PANDORA charm it is compatible with a PANDORA bracelet allowing the beads to fit nicely on the chain. You’ll definitely be saving some dollars by buying this cheaper priced charm. 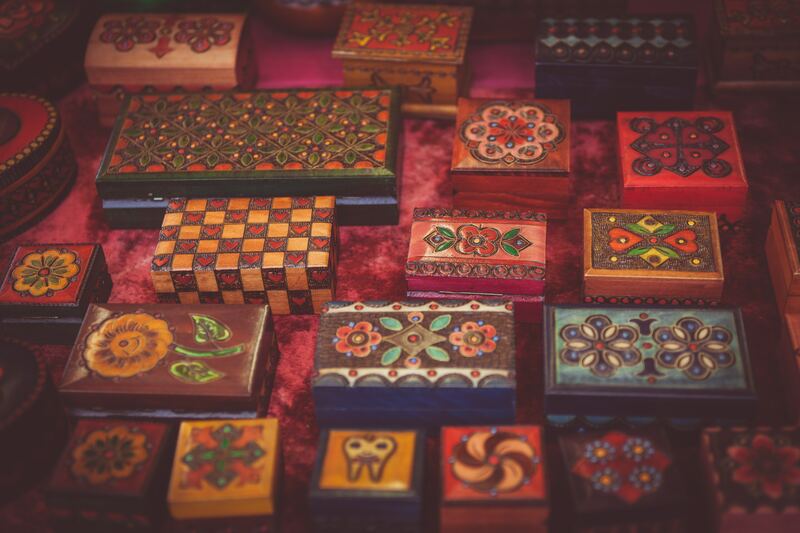 When it comes to packaging, it can vary from a foam insert to a cherry wood box, depending on the piece of jewelry you choose. This pretty little charm has been created by GEM STONE KING who have been creating jewelry since 1903. Their selection of jewellery consists of stunning rings, earrings, necklaces and bracelets. What we like about this jeweller is their use of diamonds, gemstones and metals. This necklace is a truly memorable piece of jewellery to end our list of the best pink heart pieces of jewelry. A small pink heart shaped gemstone takes prime position in the centre of this pendant. Held in place by a prong setting this gorgeous pink tourmaline gem inside a large sterling silver heart which is decorated with colourless diamond gemstones really makes it sparkle! This large heart is attached to a delicate sterling silver chain which completes the beautiful necklace. What we love about this necklace is that it is a symbol of love which represents the eternity of love. It has been created by Dorella who specialise in making sterling silver pendants that incorporate a beautiful coloured gemstone into the design. Hearts, crosses, trees and pear drops – when it comes to the design this supplier is very creative. Each piece is created with a unique and elegant design in mind as well as a great shine and polish. This is definitely a beautiful necklace sold at an affordable price which you won’t want to miss out on!